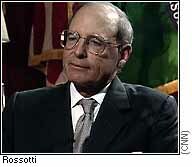 WASHINGTON (April 15) -- The Internal Revenue Service is the most despised agency in government. But the surprising fact is the IRS is getting better. "You got a lot of people out there that have to comply with the tax law, and we have to be here to help them," says IRS Commissioner Charles Rossotti. Do you doubt the new commissioner's word? OK, you can look it up! Taxpayers got 13 million fewer busy signals this year. Toll-free calls to the IRS are being answered 91 percent of the time -- a huge improvement. Last year callers got through only 66 percent of the time, and only 39 percent in 1995. People answering the phones are getting better, too. One group of Baltimore IRS workers gave correct advice to 100 percent of recent random test calls. Nationally, accuracy scores are up to 93 percent this year, from only 63 percent as recently as 1989. And this year for the first time the IRS is open on Saturdays, trying to be helpful. They advertise, "We work for you," and call taxpayers their "customers." We talked to some of those "customers" and we found them, oddly enough, satisfied. "They did a good job," said one man. "It was just really good, surprisingly good," said another, describing his experience with the agency. "This makes for a good reputation for the IRS," said another woman. Thanks to computer filing, millions now get refunds faster. Need a form? Download it from the IRS Web site. Confused? Now you can call nights. "The phones are definitely open," said Paul Harrington, IRS district director in Baltimore. "They're open from seven o'clock in the morning to 11 o'clock at night six days a week." Progress has been slow in coming. Banks were open on Saturdays years before the IRS and lots of companies take customer service calls on Saturdays and Sundays. So if the IRS expects to win a popularity contest, they can just forget about it. In a poll by Pew Research, 60 percent of people surveyed report an unfavorable opinion of the IRS. That's higher than for the Postal Service, the Pentagon or even Congress. It's no coincidence that Republican Congress is busy attacking the IRS. 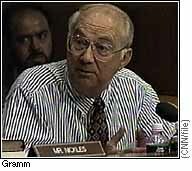 "We're all afraid of the IRS," said Sen. Phil Gramm. "I think every American is." Senate hearings last year riveted the nation with tales of IRS abuses. The House passed an IRS reform bill with only four votes against. Will the Senate pass it too? Is this an election year? Wisely, the IRS is not waiting. It's already under new management. "We're not claiming that we're anywhere near where we need to be, but I think it does show where we are going," said IRS Commissioner Rossotti. It's trying to make taxpayers feel more like customers, less like victims.